TORONTO and CAMBRIDGE, MA, Dec. 17, 2018 /PRNewswire/ - ProMis Neurosciences, Inc. , Inc. (TSX: PMN); (OTCQB: ARFXF), a biotechnology company focused on the discovery and development of antibody therapeutics selectively targeting toxic oligomers implicated in the development of neurodegenerative diseases, today announced the appointment of Rudolph Tanzi, Ph.D, to the Company's scientific advisory board (SAB). Dr. Tanzi is the Joseph P. and Rose F. Kennedy Professor of Neurology at Harvard University and Vice-Chair of Neurology, Director of the Genetics and Aging Research Unit, and Co-Director of the Henry and Allison McCance Center for Brain Health at Massachusetts General Hospital. "We are excited that Dr. Rudy Tanzi has joined our scientific advisory board," stated Eugene Williams, ProMIS Executive Chairman. "As an expert clinical scientist in the field of neurodegenerative disorders, with over three decades of outstanding research accomplishments in Alzheimer's disease (AD), Dr. Tanzi brings an impressive wealth of complementary experience to our SAB. We look forward to his insightful contributions as an advisor to ProMIS." Commenting on the appointment, Dr. Tanzi stated: "I am delighted to join the SAB and look forward to advising ProMIS Neurosciences as the Company progresses its innovative approach selectively targeting toxic oligomers involved in the development of ALS, Parkinson's disease and Alzheimer's disease. In particular, ProMIS' lead antibody for AD, PMN310, offers an exciting opportunity to evaluate in clinical trials the potential best-in-class profile of this therapeutic candidate against toxic oligomers of amyloid beta". Dr. Rudolph Tanzi is a neuroscientist and geneticist with scientific expertise in Alzheimer's disease and brain health. He serves as Vice-Chair of Neurology, Director of the Genetics and Aging Research Unit, and as a Director of the Henry and Allison McCance Center for Brain Health at Massachusetts General Hospital. He is also the Joseph P. and Rose F. Kennedy Professor of Neurology at Harvard Medical School. Dr. Tanzi received his B.S. (microbiology) and B.A. (history) at the University of Rochester in 1980 and his Ph.D. (neurobiology) at Harvard Medical School in 1990. He is one of the world's leading scientists in research aimed at preventing and treating Alzheimer's disease. His research studies and books have also focused on preserving and promoting brain health. In his research achievements, Dr. Tanzi served on the team that was the first to find a disease gene ((Huntington's disease) using human genetic markers, helping to launch the field of neurogenetics. Dr. Tanzi went on to identify all three early-onset familial Alzheimer's disease genes: the amyloid precursor protein and presenilins 1 and 2. As leader of the Cure Alzheimer's Fund Alzheimer's Genome Project, he has identified several other Alzheimer's disease genes, including the first shown to causing neuroinflammation in Alzheimer's disease (CD33). Dr. Tanzi also discovered the Wilson's disease gene and several other neurological disease genes. Dr. Tanzi and his team have used Alzheimer's genes and human stem cells to create "Alzheimer's-in-a-Dish" - a three-dimensional human stem cell-derived neural culture system that was the first to recapitulate both pathological hallmarks of Alzheimer's disease: plaques and tangles. This model has made drug screening for Alzheimer's disease considerably faster and more effective. Using this system, Dr. Tanzi has developed several novel therapies for AD including gamma secretase modulators aimed at plaque pathology. These promising drugs are now heading into clinical trials in Alzheimer's disease. Most recently, Dr. Tanzi and his team have discovered that beta-amyloid, the main component of senile plaques, may play a role in the innate immune system of the brain operating as an anti-microbial peptide, suggesting a possible role for infection in the etiology and pathogenesis of AD. 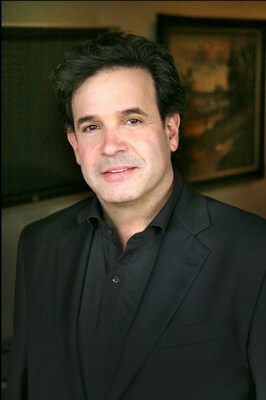 Dr. Tanzi has published over 500 research papers and has received the highest awards in his field, including the Metropolitan Life Foundation Award, Potamkin Prize, Ronald Reagan Award, Silver Innovator Award, and the Smithsonian American Ingenuity Award, the top national award for invention and innovation. He serves on dozens of editorial boards and scientific advisory boards and was named to TIME magazine's list of TIME100 Most Influential People in the World. He also co-authored the books Decoding Darkness, and the three international bestsellers, Super Brain, Super Genes, and The Healing Self. Dr. Tanzi is also a musician who professionally records and performs (keyboards), most recently with Joe Perry and Aerosmith. William C. Mobley, M.D, Ph.D is Associate Dean for Neurosciences Initiatives, Distinguished Professor of Neurosciences, Florence Riford Chair for Alzheimer Disease at the University of California, San Diego (UCSD), and the university's Executive Director of the Down Syndrome Center for Research and Treatment. Dr. Mobley's research focuses on the neurobiology of neuronal dysfunction in developmental and age-related disorders of the nervous system. Sharon Cohen, M.D is a trained behavioral neurologist and former speech language pathologist. Her memory clinic and dementia clinical trials program at the Toronto Memory Programme are the largest and most active in Canada and have contributed substantially to patient care and to global clinical trial cohorts. Through her commitment to knowledge translation and her passion for clinically meaningful outcomes, Dr. Cohen provides a valuable perspective which places the patient at the center of Alzheimer's drug development programs. ProMIS Neurosciences, Inc. is a development stage biotechnology company focused on discovering and developing antibody therapeutics selectively targeting toxic oligomers implicated in the development and progression of neurodegenerative diseases, in particular Alzheimer's disease (AD), amyotrophic lateral sclerosis (ALS) and Parkinson's disease (PD). The Company's proprietary target discovery engine is based on the use of two complementary techniques. The Company applies its thermodynamic, computational discovery platform -ProMIS™ and Collective Coordinates - to predict novel targets known as Disease Specific Epitopes on the molecular surface of misfolded proteins. Using this unique approach, the Company is developing novel antibody therapeutics for AD, ALS and PD. ProMIS is headquartered in Toronto, Ontario, with offices in Cambridge, Massachusetts. ProMIS is listed on the Toronto Stock Exchange under the symbol PMN, and on the OTCQB Venture Market under the symbol ARFXF.